Only 2 packages in stock! Description - The hook measures 31mm long by 28mm wide by 1mm thick and the loops measures 2mm. The ring measures 17mm long by 28mm wide by 1mm thick and the loop measures 2mm. 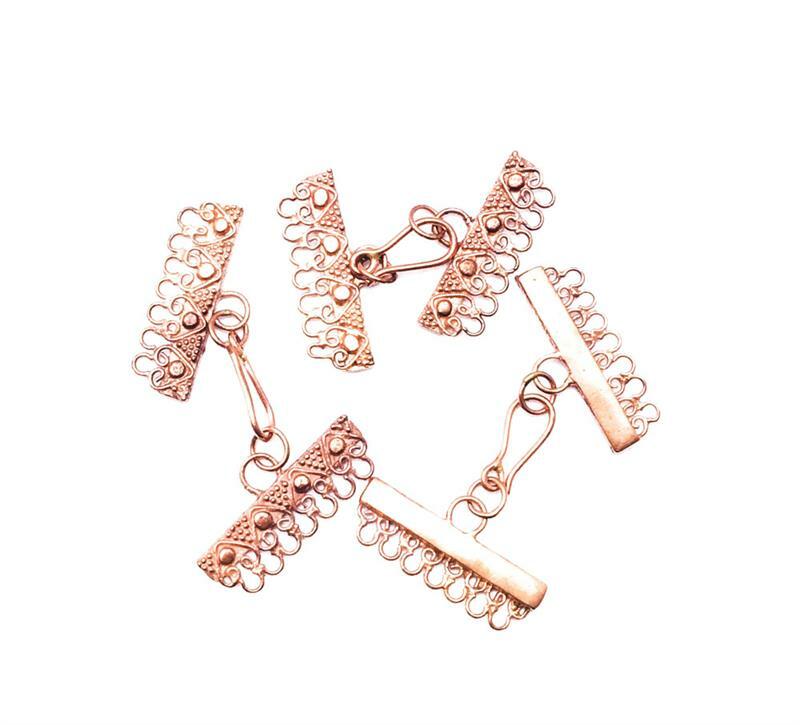 The total length of these hook clasps measures 48x28mm. Use these fabulous findings in your handmade jewelry designs and craft projects to create a one of a kind look! The hook measures 31mm long by 28mm wide by 1mm thick and the loops measures 2mm. The ring measures 17mm long by 28mm wide by 1mm thick and the loop measures 2mm. 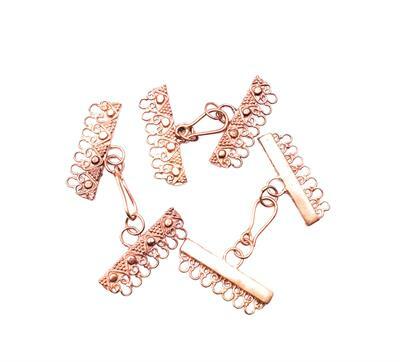 The total length of these hook clasps measures 48x28mm. There are 3 clasps in a package. These clasps are made of solid copper and were made in Indonesia. These findings are NOT bendable. All photos have been taken outdoors with sun light, but as always, computer and mobile screens display colors differently.